There are the 7 wonders of the world. If there were wonders of herbs, Lavender would be the first wonder for sure. Lavender's Latin name means "to wash" or "to purify" and it definitely lives up to its name. Lavender has so many skin benefits! 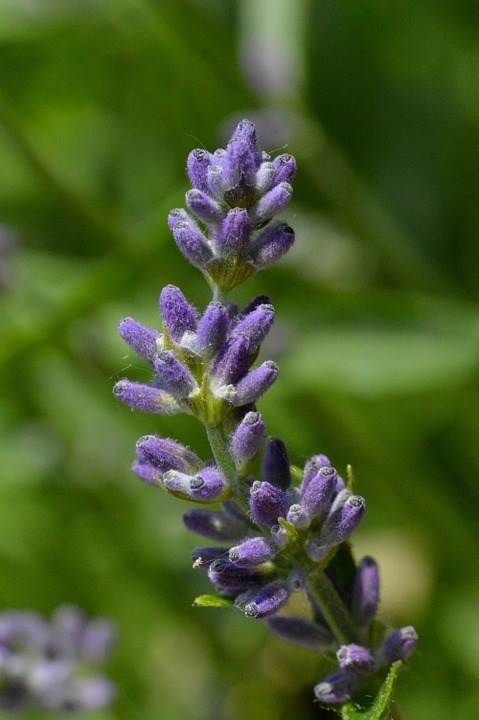 Keep reading for the top 5 skin benefit of lavender for healthy unblemished and unlined skin. Lavender soothes the mind and shields from depression and anxiety which can cause skin problems. (ncbi.nlm.nih.gov) Lavender is an antispasmodic which means it soothes muscles and hyperactive skin cells. It also relieves headaches. Relaxation on contact! Lavender will help you wind down after your endless day and promote great sleep allowing you to rise refreshed and do it all over again the next day. You need sleep. Productive. Deep. Sleep. I'm sure you have heard of beauty sleep and it is so true! While you sleep your skin cells regenerate and repair themselves from all of the environmental stressors it encountered the day before. As we age sleep becomes even more important because it takes twice as long (roughly 40 days) to generate new skin cells. The tannins in Lavender “wash” the skin by removing dirt, oil, and impurities that clog your pores. It is the regulator for an oily complexion. Do you have a blemish? Lavender will “wash” it right away! Just by applying lavender, your body receives antioxidants that protect your body from toxic free radical damage. It literally stops the clock of aging! Rosmarinic acid found in Lavender gives it anti-inflammatory properties which have been linked to relieving the symptoms of psoriasis, dermatitis and eczema. Goodbye Flare-ups! Lavender Essential Oil mixed with coconut oil (see below) can kindly usher away irritation from dermatitis and prevent allergic reactions! A true preventative and not just another thing to treat the symptoms! I said it. This is an awesome oil for sensitive skin.It will reverse skin sensitivity and restore smooth moisturized skin. Add fresh sprigs of lavender to flower arrangements or keep around the house to perfume and create a relaxing environment. Its bright purple blossoms turn silver glowing beautifully in a moonlit windowsill and aid in a great night's rest. Purchase a 100% pure therapeutic grade essential oil from any natural food store or online. Add a few drops of lavender essential oil to ¼ cup of water to create a calming room and linen spray. Shake well before each use and take pleasure in your positive mood. Rub this oil directly onto your temples to relieve a headache. Our remarkable infused oils organically use nature to deliver the healing and moisture ingredients to your skin to preserve your youth and slow the process of aging. (At Bella Opulence we strive to keep you unblemished and unlined!) The lavender infused oil contains 100% organic lavender flowers and vanilla beans (tune in next week!) extracting all of their healing properties and key ingredients into coconut oil which is just an absolutely fantastic oil and a moisture powerhouse. The end result is a rich oil packed with anti-fungal, skin soothing properties, tannins, B vitamins for health skin, triglycerides and more! This oil transfers all of these highlighted properties (and the many not mentioned) of lavender onto your skin to protect you from free radical damage, slowing the aging process. Lavender is a versatile herb that is truly a wonder for topical skin use. After incorporating lavender into your routine, Skin is soothed, healthy, and radiant, unblemished and unlined. Healthy skin is blissful skin. Healthy skin is touchable skin. Healthy skin is noticed skin. How do you use Lavender?